Simple and perfectly finished, round diamond solitaire engagement ring with a classic tapered bezel setting and solid shoulders. Olivia, is an eye-catching bezel-set Engagement Ring which reveals the rounded shape of your chosen Diamond. The comfortable 2.5mm wide court band has tapering shoulders adjoining a mirror polished setting which follows the outer girdle of the Diamond. 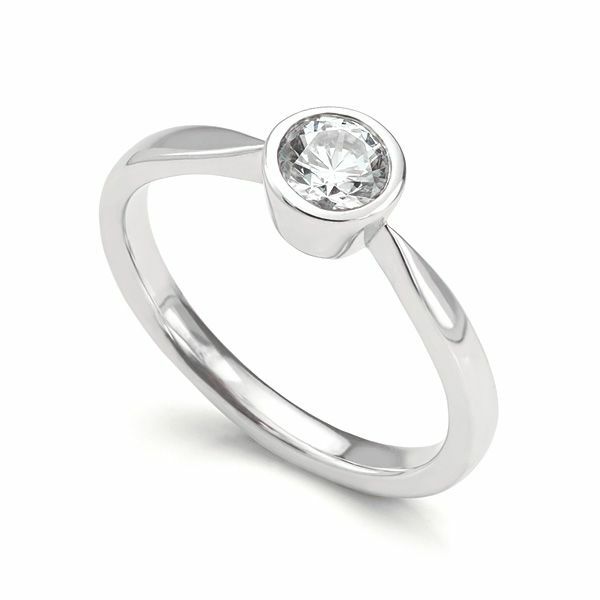 As well as being distinctive in it's simplicity, the security and protection are big advantages to this ring design. This solitaire setting offers a practical ring height of 5.5mm – 6mm, making it perfect for showing off daily. Choose from a wide range of Diamond options—including carat weight, colour and clarity. We can finish the Olivia Engagement Ring in many precious metals - 950 Platinum, 950 Palladium, 18ct Rose, 18ct White, 18ct Yellow Gold. We also offer 18ct Fairtrade Yellow or White Gold as an ethical alternative. The Olivia engagement ring is crafted to order so please allow four 4 for delivery. It will arrive to you beautifully presented, ready for the perfect moment. 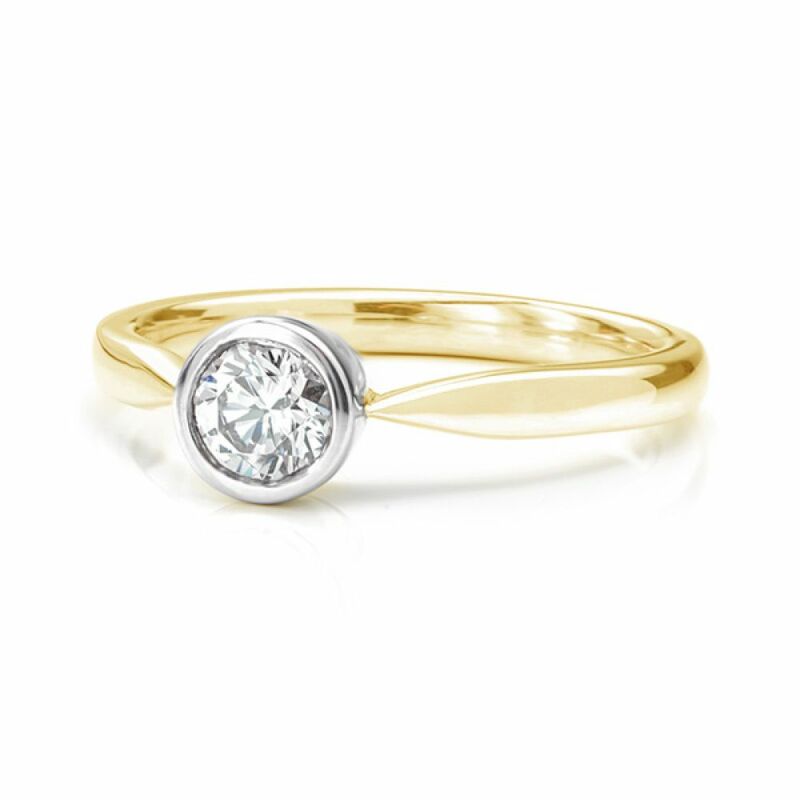 Olivia features a fully bezel set design, following the outline of a round brilliant cut diamond. Shown here with the 0.50cts diamond option. My ring is just what I imagined it would be, its beautiful.